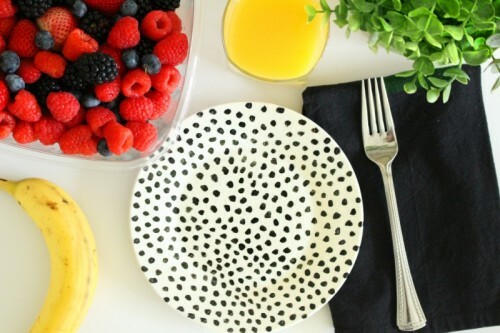 Cool and fun tableware is a nice idea to raise your mood while eating, especially in the morning. 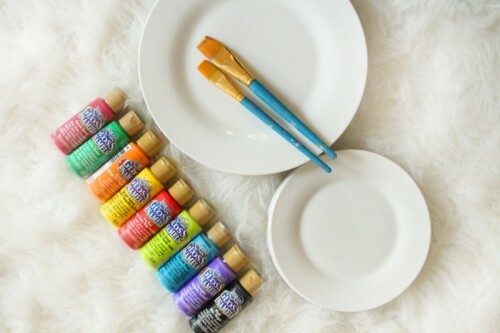 You can get a couple of plates and turn them into creative ones using enamel paint, brushes, ceramic plates and painters tape and this tutorial from laceyplacey.com. 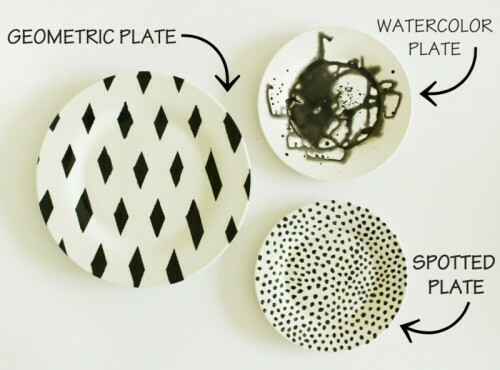 Spotted plate: dab paint onto your plate with your brush in a random pattern. It doesn’t have to be perfect! For the geometric diamond: use painters tape to create the pattern you see above. You could really have fun with any pattern – checks, checks and so on. Bake at 325 for 30 minutes twice letting oven cool in between. Set the table and enjoy!